Mainly sunny. High 96F. Winds WNW at 5 to 10 mph..
A clear sky. Low 67F. Winds NNE at 5 to 10 mph. 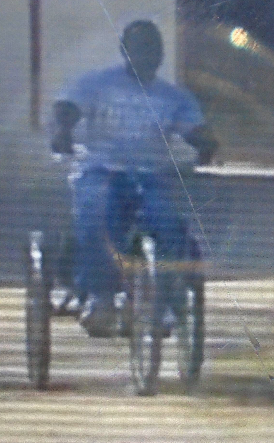 The Bakersfield Police Department is seeking the public’s assistance in locating a suspect wanted for a residential robbery in the 700 block of White Lane. The robbery occurred Sept. 21, when a victim walked into his residence and interrupted the theft in progress. The unidentified suspect then confronted the victim and assaulted him before fleeing. 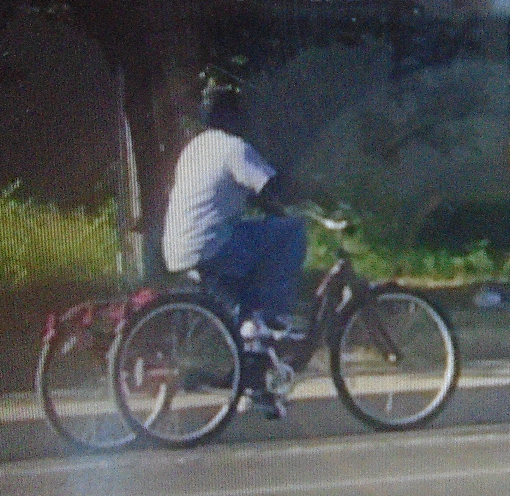 The suspect is described as a black male, 25, wearing a white shirt, jeans and riding a red and black tricycle. Anyone with information regarding this case is encouraged to call Detective Keith Carson at 326-3868 or the BPD at 327-7111.